The winter holidays are fast approaching. Even the weather is cooperating, giving us cold days and nights, rain, sleet, snow, even icy roads. What better way to get into the spirit of the season than grabbing your very own copy of Solstice Publishing’s A Winter Holiday 2017, or one of the two standalone novellas: An Interrupted Holiday and Lost Soul Barren Holiday 1? Text messages send Halia on a quest. Can he capture wondrous enchantment? An unusual stranger captivates Gina’s heart. Time travel via Victorian mistletoe. 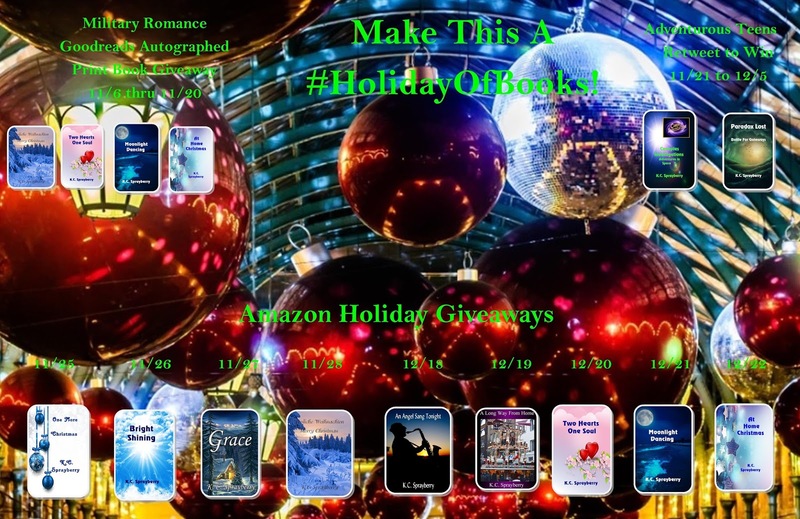 Will Sara Anne find a daddy by Christmas? A rip-roaring ride through a Hawaiian Christmas. Never Was Mrs. Claus Rocks! What happened on your best New Year’s Eve? Follow your heart, trust your instincts. How does Emlyn Goode celebrate Christmas? Food, friends… and murder. The incredible talents of Eddie Edwards, Leigh Podgorski, E.B. Sullivan, Debbie De Louise, Jeannie Sharpe, Justin Herzog, Gloria Weber, A.F. 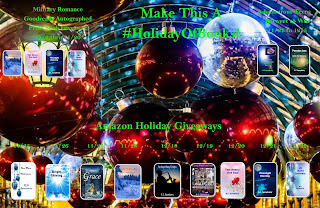 Weeks, A.A. Schenna, and Susan Lynn Solomon combine in this holiday anthology. 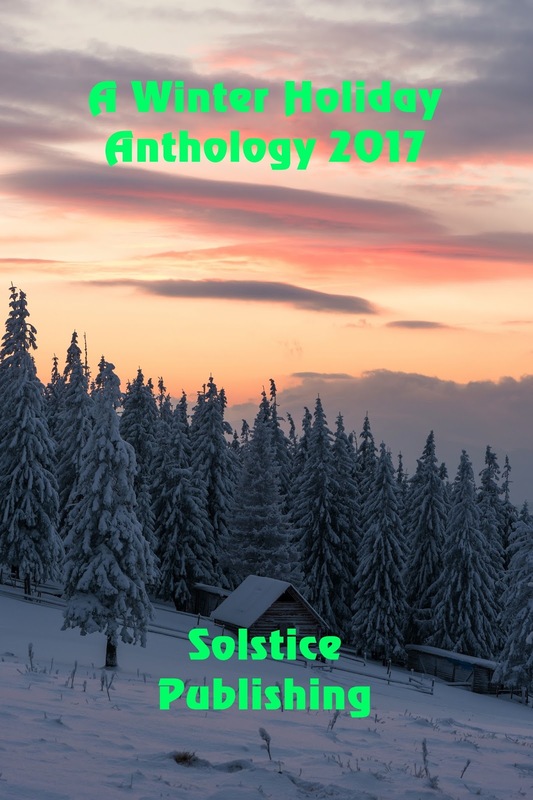 Be prepared to experience the winter holidays as you never have before, with tales that will make you laugh, cry, and remember what the spirit of these holidays is all about. And what about those standalone novellas? The first is a winner from Donna Alice Patton, set in her favorite time, those exhilarating days of the Wild West. In the icy crevices of a blizzard and his heart - James' Montfort will learn that the invisible world is never too far away. K.C. 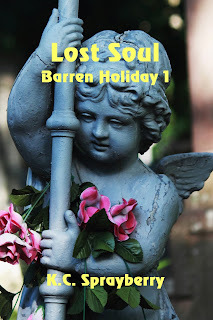 Sprayberry offers us her latest series of teens overcoming trouble and discovering that the winter holidays can be good with Lost Soul Barren Holiday 1. The neighborhood knew what Cody Allen Luther endured on a daily basis for five long years. Everyone except Brandy Mason turned their heads. After all, it was a parent’s right to discipline their child. 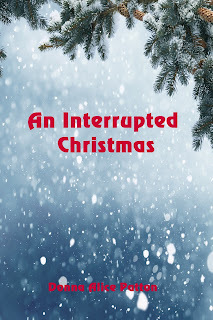 On Christmas Eve, 1969, Cody finally can’t take the brutal abuse any longer, but not for himself—his mother turns her unreasonable anger on his younger stepsiblings and he makes a life changing decision, killing her instead of allowing her to keep hurting his family. Only one person has ever understood the why Cody reacted as he did that Christmas Eve of 1969. Brandy Mason will do anything to protect Cody, even stand up against classmates willing to petition the governor to have Cody tried as an adult for murder once he is released from juvenile detention. 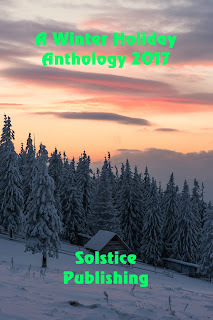 We at Solstice Publishing hope all of your holidays are wonderful and fun. If you’re stuck inside because of inclement weather, these stories will warm more than your heart.